HIGHFIELD SOCIAL CLUB has been providing the local community, its 2000+ members, & their friends & family, a place to meet & socialize for over 60 years. Located in Bicester, in the North of Oxfordshire, it is reputed to be one of the largest & most successful of its kind in the area.The club has a rich & varied history dating back to 1953 where it started in an old wartime Nissan Hut from where it developed into the modern comfortable facility you see today. Boasting a large versatile function room with it’s own bar, stage, lighting rig, dance floor, big screen televisions and kitchen. The room is used for regular club functions ranging from original artists & top quality tributes, through to up & coming local bands, it hosts formal dress events such as the Spring & Presidents Ball, & maintains the tradition of providing a Christmas meal for its Senior Members each year. 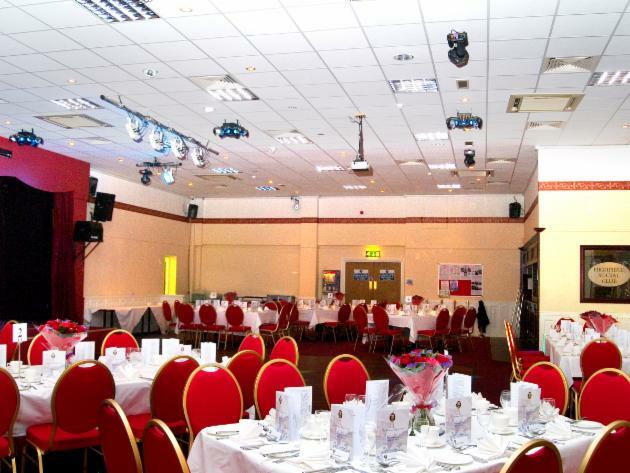 Such is the versatility of the Room can be hired out by members for Private Parties, Wedding Receptions, Awards Ceremonies, Darts Competitions & has even been used as a Conference Venue. 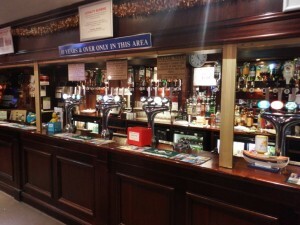 The main club area is a modern, comfortable & spacious room with bar, quiz machine, digital juke box, dart boards, dance floor and big screen televisions showing all major sporting events via our SkySports & BT Sports subscriptions. Annexed to the Bar are dedicated Pool & Snooker Rooms. The Highfield is fully licensed & prides itself in providing a wide selection of top-quality, branded products, at the most competitive prices in the area. It is also an active member of the Bicester & District Pub-Watch scheme. The club has disabled facilities and a large, purpose built car park. However it should be noted that that the car park is used entirely at the vehicle owners risk. As a club we help support numerous local charities via our own Charity Fund, please ask if you know of a worthy cause. We have live entertainment every Saturday night, & most Bank Holiday Sundays & selected Fridays (see What’s On) and have teams in many sporting activities. For the safety & security of members & their guests, the club has a fully record-able CCTV system covering all internal areas & the external perimeter. For details of membership please contact us on 01869 252876, membership is available year round, & renewal is due during the month of June each year, irrespective of when the membership was granted. An application form can be downloaded here; Membership Form A junior membership scheme is in place for members children aged 16-18 Junior Membership Application, & a life membership scheme runs for members reaching age 65 & having 10 years consecutive, current membership Life Member Application. A Junior Members can also upgrade to Full Adult Membership using the following form Junior to Full application. The Highfield is truly an Community within the Community, run by the members for the members, come & visit us, you will not be disappointed!